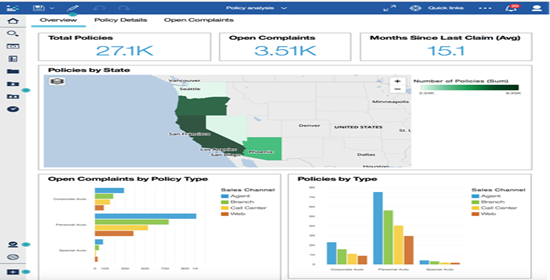 Cognos Analytics dashboards help monitor business metrics at a glance with a set of visualizations on one page. They allow for quick data discovery and experimentation by enabling you to quickly change parameters to view different slices of the data. Since 11.0.10, Cognos dashboards include a drill-down feature that allows you to view more granular data. Pedro joined Senturus in 2010 and brings over 20 years of BI and data warehousing experience to his role. Pedro has been instrumental in implementing data warehousing systems from scratch and has experienced the evolution of the BI industry through several iterations of BI products like Cognos, MicroStrategy and Tableau. Before joining Senturus, Pedro held technical roles in data and BI architecture as well as leadership management roles in companies such as Visa Inc., LeapFrog Toys, Chevron Inc., AT&T and the University of California at Berkeley.